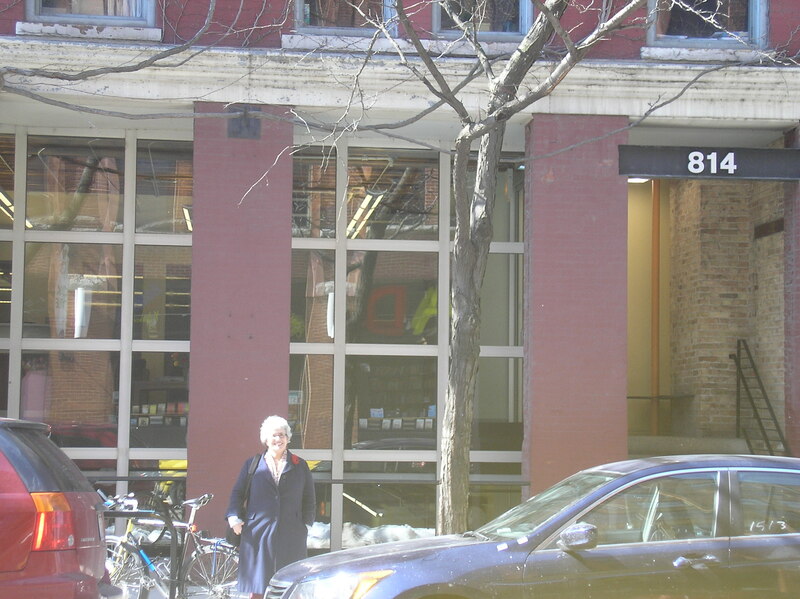 Not only did I get to meet my publishers at Chicago Review Press in Chicago, but I also got to visit and teach at my mother’s high school: the place she calls “U-High” in her diaries — the place now usually referred to as the University of Chicago Laboratory Schools (K-12). I first got to teach two classes of U. S. History. The teacher and head of the History Department, Charles Branham, was so gracious and fun. I imagine his classes are filled with wonderment and pizzazz! They assured me that Joan’s $300 scholarship, that enabled her to attend the school in the fall of 1938, would have to be much larger today! Then I spoke to a huge lunch crowd. It seemed that in addition to the principal, Chris Janus, there were at least 50 students there! They were good sports and laughed at all of my mom’s jokes. And they asked good questions. Finally I had a wonderful time in the classes of a kindred spirit, Cindy Jurisson. The first class we focused on Medieval Women (one of my teaching specialties). Cindy had trained her students to take excellent, thorough notes and they had already covered a lot of ancient women writers and women’s history. The next class focused on Home Front Girl. Students were very happy to join in the spirit of Joan’s hi-jinks. There is one fun “dialogue” in the diary that seems almost like a play. A male friend, Frazier, and Joan are walking down the hall together in early 1939. And so we reached the locker room and I staggered to Modern Dance. Here I am with one of the wonderful students–he was willing to play “Frazier” and I was “Joan.” It was really funny! I hope we can have an encore performance! 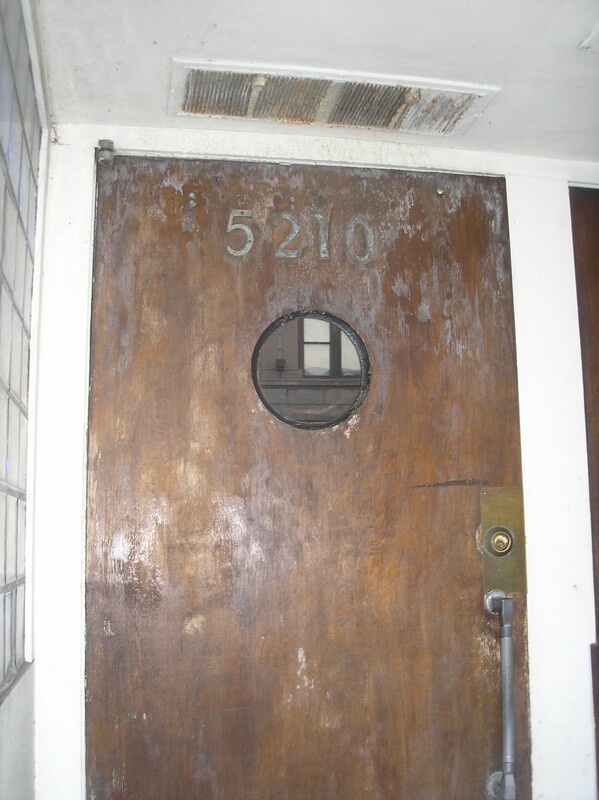 Posted in Susie's Blog and tagged Chicago Review Press, conservation of matter, medieval women, U-High, U.S. History, University of Chicago Laboratory Schools. Bookmark the permalink. 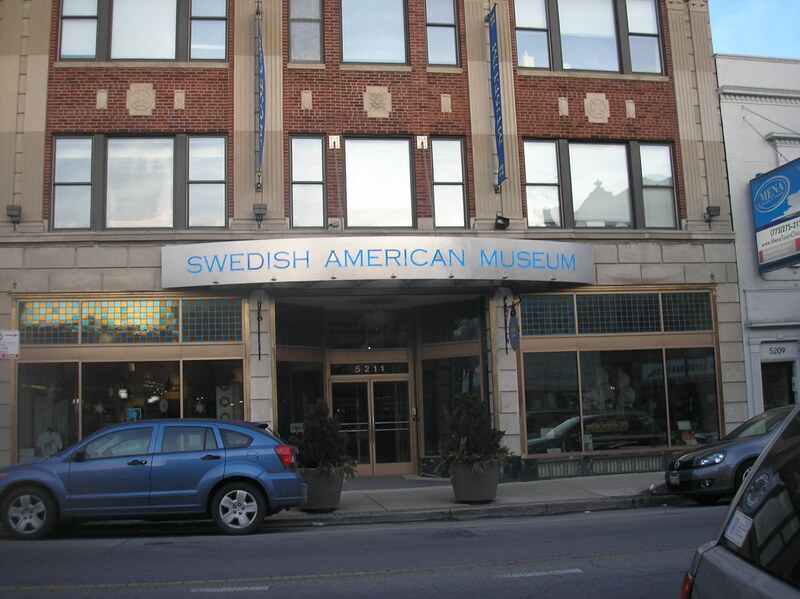 In March 2013, my family and I had the great pleasure of visiting Chicago, the Windy City! 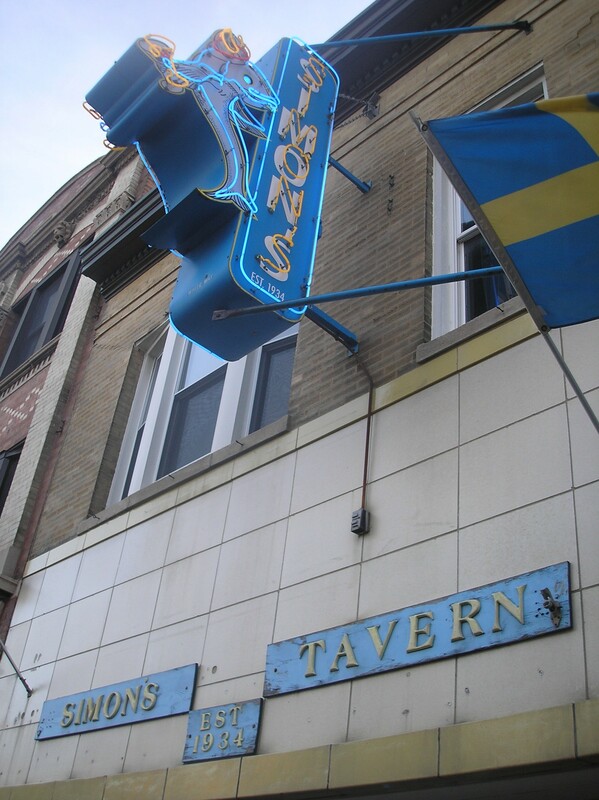 It is also the home of my mother, Joan Wehlen Morrison. And her diaries, now published as Home Front Girl, are set mainly in this wonderfully vibrant city. Chicago Review Press is in Chicago. I first made contact with my editor, Lisa Reardon, in November 2011. And so for almost 1 1/2 years, she and I have emailed. But we had never met each other! Nor had I met the publicity folks, Mary Kravenas and Caitlin Eck. But finally, I have! There is nothing like putting a face and a tone of voice to the people you’ve only corresponded with via email! And what a pleasure it was to meet with kindred spirits! I hope we’ll meet again! 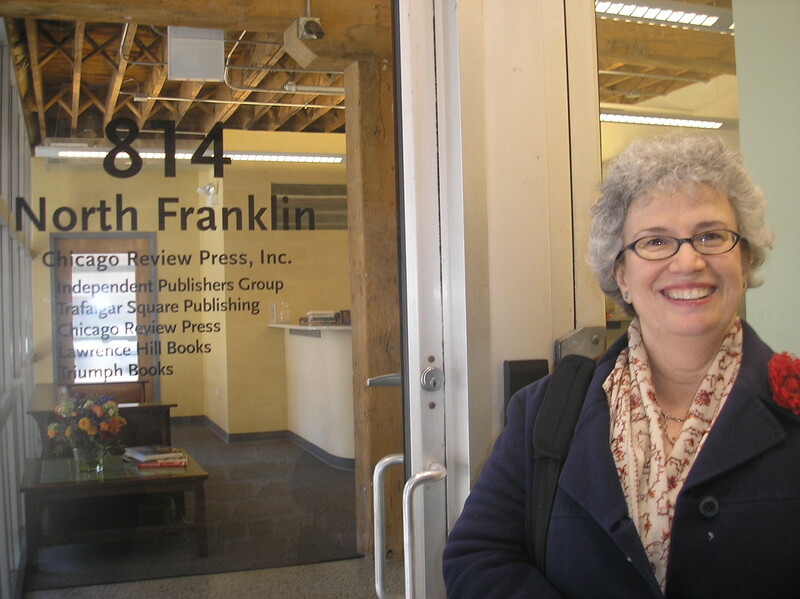 By the door of Chicago Review Press. Posted in Susie's Blog and tagged Chicago Review Press. Bookmark the permalink. 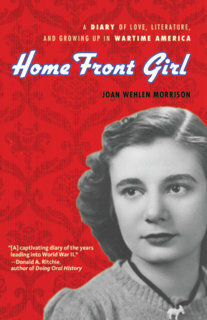 Now the Curriculum Guide and the Book Club Discussion Questions sheet for Home Front Girl are available for download. Please use and share them with teachers, students, and other interested parties. I hope you find them food for thought! I had fun writing both these pedagogical materials. And I hope they will help readers, students, and teachers as they explore World War II and the events that lead up to that time. 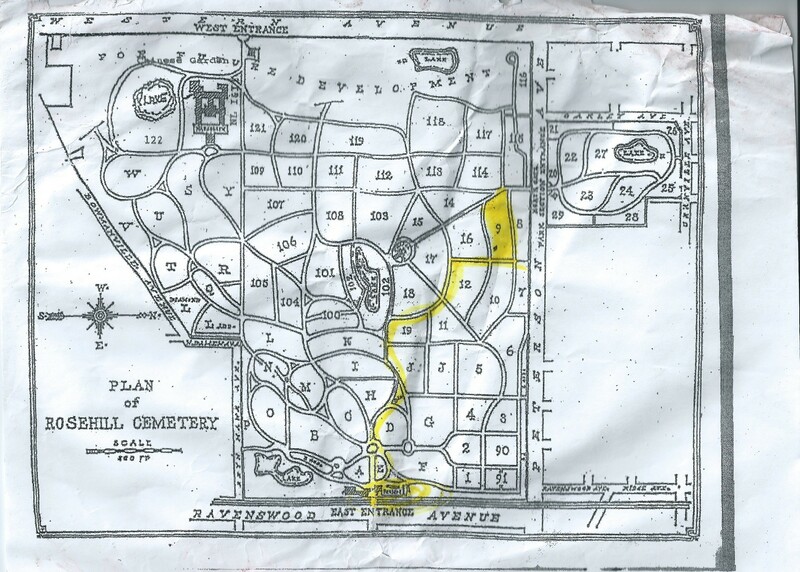 Posted in Susie's Blog and tagged Book Club Discussion Questions Sheet, Culminating Activities, Curriculum Connections, Curriculum Guide, Curriculum Standards and objectives, Discussion Starters, Joan Wehlen Morrison Biography, Q & A, Susan Morrison Biography, Vocabulary. Bookmark the permalink. There is news about the Hindenburg disaster from 1937. A news report tells us a theory just devised which argues for the true cause of the accident: static electricity. Read about the theory here and see a video from the catastrophe. 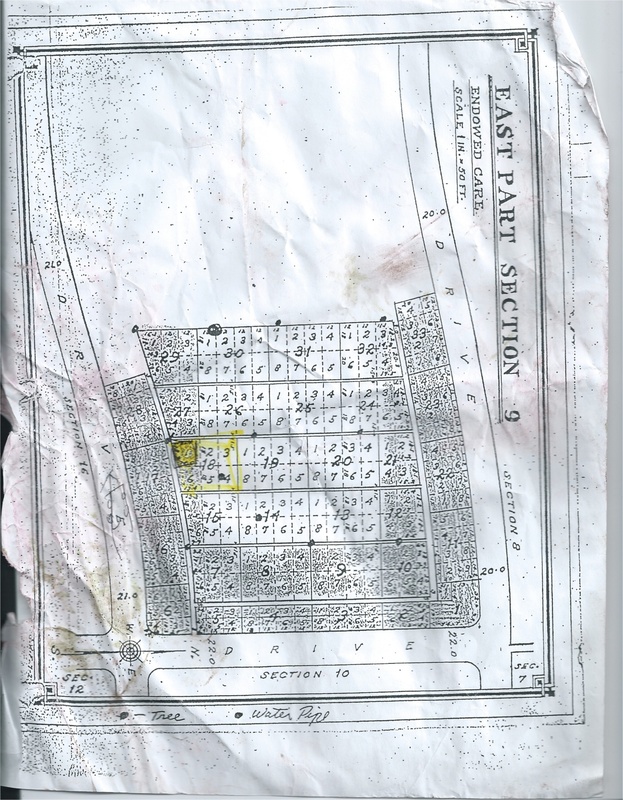 Joan often mentions events of the day in her journals. She writes about hearing about the burning up of the famous zeppelin. Hello! 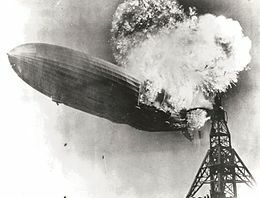 The German zeppelin Von Hindenburg crashed not three hours ago at Lakehurst, New Jersey. That great new sister ship to the Graf Zeppelin!! Just burnt up like that. The radio announcer said it was ‘cause the lightening set fire to the explosive hydrogen in the ship and then it exploded. Airships seem to have a curse or something – to everyone except the Graf Something disaster has happened. Now the Graf is the only one left. The Herald Examiner said 100 people were killed, but as it’s a Hearst paper, 50 is a safer guess. They always exaggerate! Ho-hum—must read about Renaissance art now— um—um. The announcer’s eyewitness report is heartbreaking and famous. Listen to the report Joan heard on the radio here. Life often has strange coincidences! I’m currently reading writings by my mother, Joan, from Thursday Sept. 29, 1938 when she was 15 years old. This passage, not in Home Front Girl, begins with Joan taking a walk after fighting with her parents. She’s soon cured of her anger. Passing the houses, it seemed that they were all part of my dream, the people and lights and voices in them—the man pausing to light a pipe under a street lamp — the boy on his bicycle through the friendly night, the woman humming as she passed me with her bundles—all these part of a dream of mine, I thought. Passing courts where the lights made clean shadows—clear cut shadows on the cement—grass, only a colourless dark mass in the night—trees, the strange shapes of them silhouetted against the dark sky. All, all was a dream. And Earth shall pass away. But this was my own dream—personal—yet not of me—by me, perhaps. So I walked home through the night and reaching our court, paused, breathless, seeing the stone seat framed like a part of a dream under the unearthly lantern lights. The light was such that it fell nowhere, yet enabled you to see clearly. I entered the dream of the light and sat on the stone ledge…. I watched the people go by and somehow they were far outside of me—they did not seem to see me. The shadows lay like long, grey dreams on the street, crooked and moving with the wind. The shadows of the leaves were large enough for me to lie upon, so the light magnified them. I watch my own indistinct shadow upon the wall. Then my eyes fell on the dark bush beside me. It, too, was part of the dream. I remembered when I had dreamed it in the spring when the scent of the young grass was still on the air. The leaves on the bush had been many and moved lightly in the fragrant air. Now the bush was dark and all but leafless. It moved a little in the hazy-half-light. It looked real—perhaps it had a dream of its own. It came over me that only the things that were real were in my dream, and that the minute I acknowledge them as real, they became a dream, unreal. And yet all things were seeming to fit into my dream. A car pierced the night. Some people passed, a dog barked. I got up to go in—Looking back, I could see the hazy circle of light wherein I had sat. It looked complete without me. I went into the house convinced that all was a dream. (Incidentally, I’ve been reading Yang and Yin— not that this could influence my train of thought.) I went to bed and lay looking at the black night…. I’d never heard of a book named Yang and Yin so I googled it. And it popped up on an Etsy website: Jen’s Closet with cool vintage stuff. You can check Jen’s site here. Jen has [well, had; I bought it!] 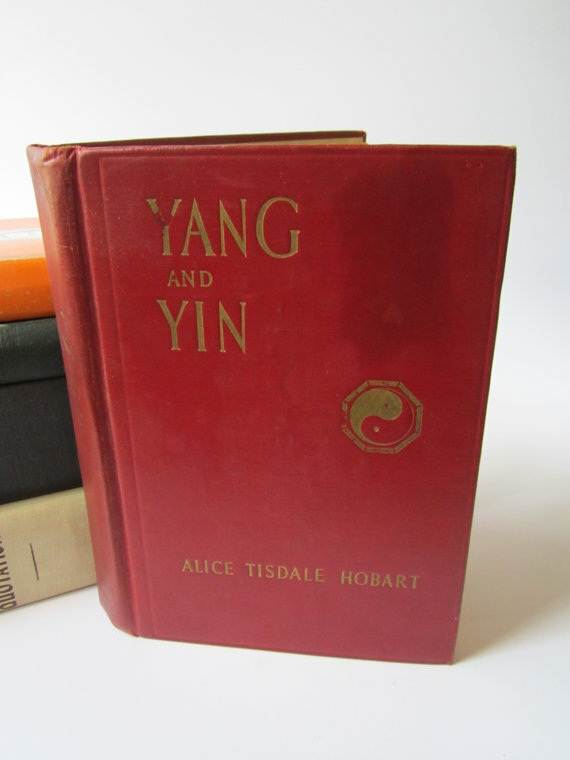 a first edition of Yang and Yin, a book by Alice Tisdale Hobart, about an American doctor in China. It turns out Alice Tisdale Hobart went to China as early as 1908 and later as well as the wife of an oil executive. 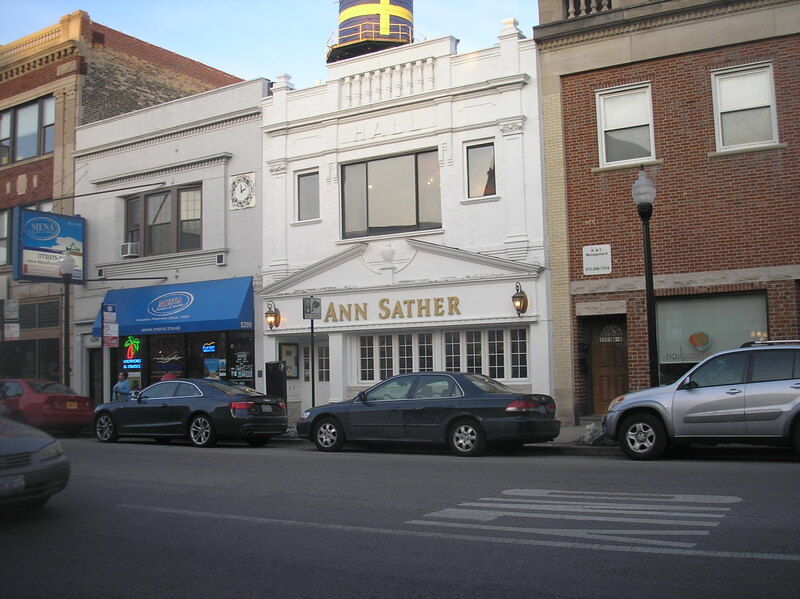 And she went to (but never graduated from) the University of Chicago, where my mother studied! Is it serendipity? Coincidence? Who knows….. Paraphrase from Kipling’s The Bridge-Builders. Posted in Susie's Blog and tagged Allice Tisdale Hobart, etsy, Jen's Closet, Jen's Vintage, Yang and Yin. Bookmark the permalink.